This Spartak cake is pure awesomeness! Really! 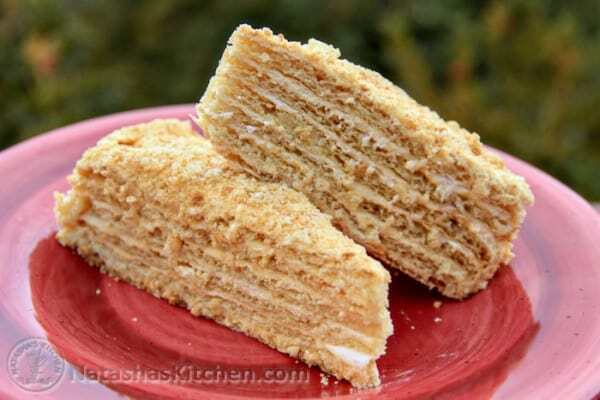 You can make the spartak cake layers up to a week early. I love that; especially when you are cooking up a storm for an event. Wouldn’t it be pure awesomeness (I already said that) if your dessert was already done and it gets better with age, just like a good cheese; except it should sit closer to 10 hours, not 10 months or it may grow a mowhawk. This recipe for Spartak Cake is brought to you by my Mama; the woman whose taste in food I inherited. Mom uses 3 springform pans so she is working on a layer while the other two are baking; efficiency! 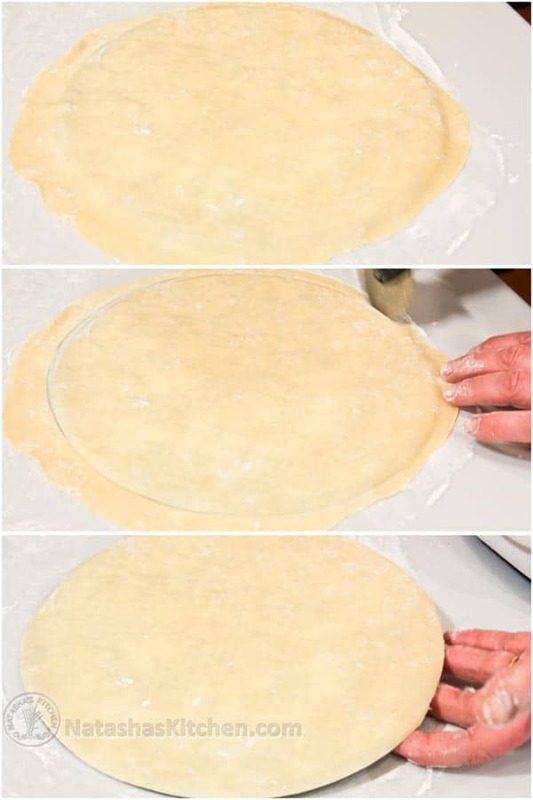 Theoretically, you could use a dinner plate to cut-out a circle of the dough and then place it on a non-stick floured cookie sheet to bake. Please don’t panic over the pictures; my mom doubles all of the ingredients and turns out 3 cakes in one evening (superwoman). So, the photos show double all of the ingredients for the Spartak Cake. 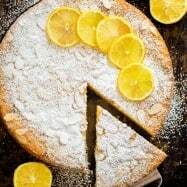 This recipe can make 2 shorter cakes, or 1 tall cake. You end up with about 10 layers if they are 9 inches in diameter. 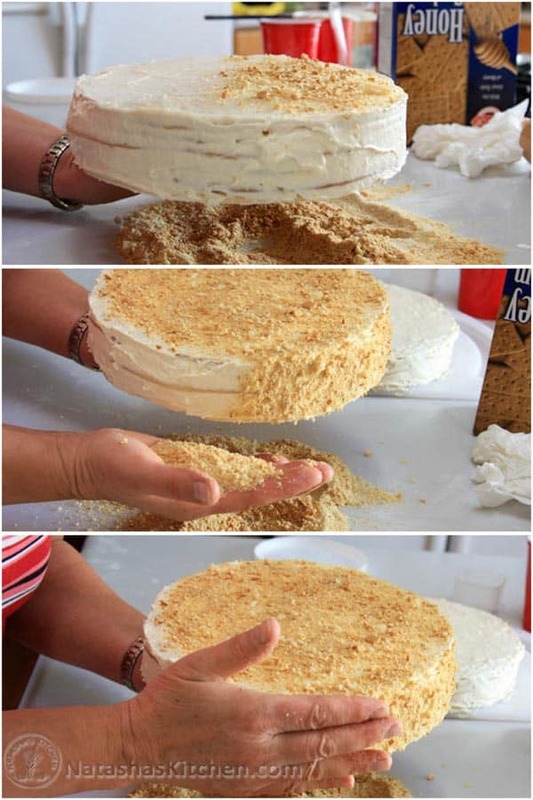 If making 2 cakes, each would have 4-5 layers (5 if you use graham crackers for crumbs), or one tall cake with 8-9 layers (with one layer for crumbs mixed with graham crackers). 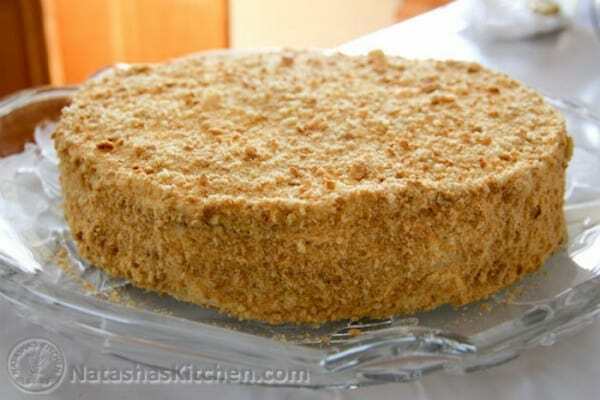 Mom always likes to add at least a couple crushed graham crackers to the crumb mix. It makes the whole cake tastier and pahuchye (fragrant). Enjoy it! 1. 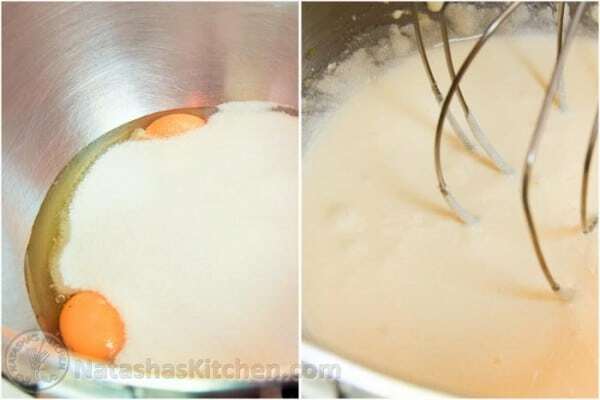 Beat together 1 egg and 1 cup sugar (whisk attachment, medium speed, 6 minutes). I know the photo shows two eggs, but its because we were doubling the recipe when we made it. So, yes it is just 1 egg. 2. Add softened butter, warm milk, and baking soda. Mix on medium speed 1 minute, until smooth. 2. Bring a medium/large pot of water to a boil. Place mixture in a glass bowl or medium sauce pan over boiling water for 10 minutes, stirring constantly (if making a double portion, do 20 minutes since it takes longer to heat up). It should just be hanging out over the steam and not floating in the water. 4. Dust flour over your non-stick surface (I wish I had my mom’s countertops!) 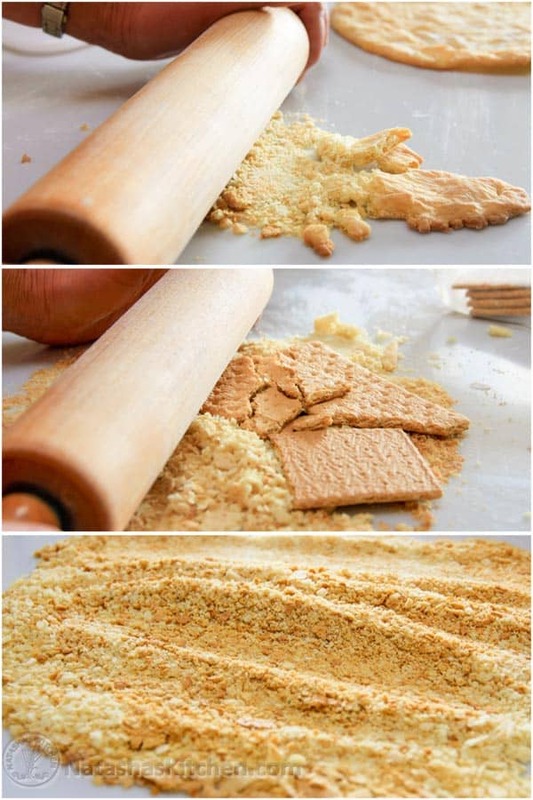 Sprinkle flour over the dough as well so it wont’ stick to your rolling pin. Roll out a heaping tablespoon of dough on a nonstick surface into about a 10-inch round. It should not be sticking to the surface. 5. Generously dust the base of the springform pan with flour. 6. Place the rolled out dough over the base of the springform pan, run a pizza cutter around it. It’s ready to bake. 7. 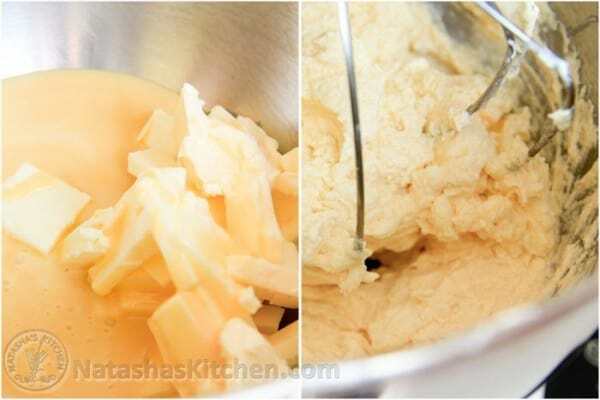 Mix the scraps of dough with some fresh dough and roll it out again. Don’t waste those scraps! 8. Bake at 350˚F until it turns golden (4-5 minutes). You can slide the cake layers off right away and continue on, but Don’t touch the top of the cake layer while its still hot, or you will indent it like I did – whoops! Note: If one of your layers, is exceptionally oogly, don’t fret. Remember, you will take a rolling pin to one of them and make crumbs. Notes: do not try to trim your cake layers after they are baked; they will crack. 3. On low speed, mix in the cool whip (or whipped cream) until well blended. 1. Set one cake layer aside for crumbs (or use graham crackers) – or you can mix like we did. 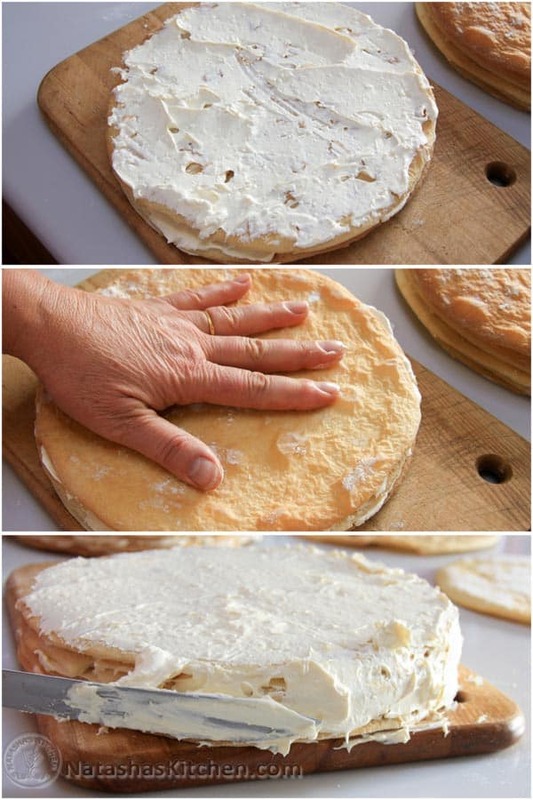 Spread a thin layer of frosting over the first layer (enough to cover the surface) and go all the way to the edges. 2. Place the next layer on top. Frost and repeat this until you finish all the layers. Frost the sides and even out the frosting everywhere. Push down the layers in between so you don’t have gaps of air between your layers. 3. Crush the cake layer you set aside as well as the optional graham cracker. 4. Generously sprinkle the crumbs over the top. Cup handfuls of crumbs and pat them onto the sides of the cake. 5. Transfer to a pretty serving dish and refrigerate overnight (it should sit at least 10 hours for the layers to soften). Thank you Mama for being patient with me while I took a million pictures. I love you Mom!! 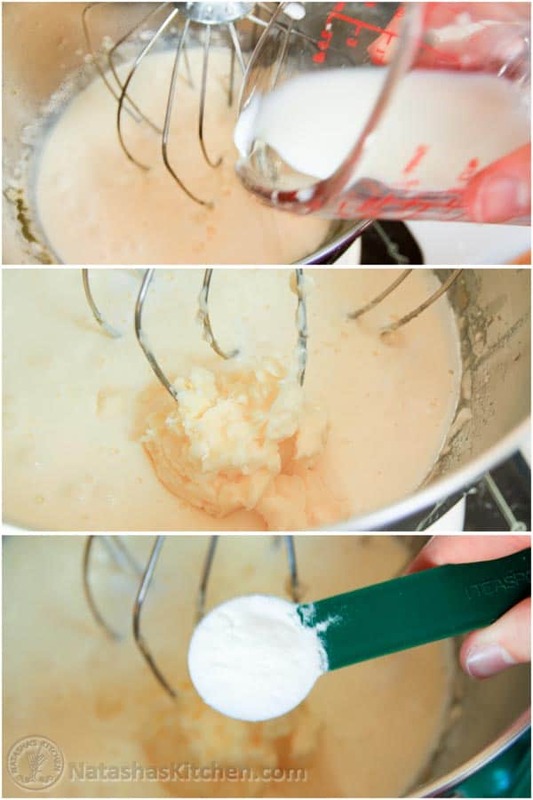 Beat together 1 egg and 1 cup sugar (whisk attachment, medium speed, 6 minutes). 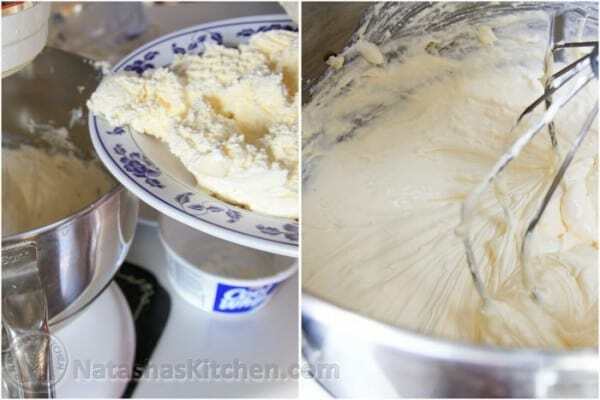 Add softened butter, warm milk, and baking soda. Mix on medium speed 1 minute, until smooth. Bring a medium/large pot of water to a boil. Place mixture in a glass bowl or medium sauce pan over boiling water for 10 minutes, stirring constantly (if making a double portion, do 20 minutes since it takes longer to heat up). It should just be hanging out over the steam and not floating in the water. Remove from heat and immediately mix in 2 cups flour and mix well. 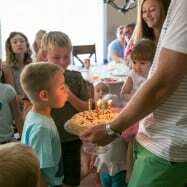 (Don't wait to add flour or you will single-handedly destroy the cake). Let dough stand 20 minutes until it is just warm; it thickens as it cools: Note: It's easier to roll out the dough while it's still warm. While dough rests, preheat the Oven to 350°F. Dust flour over your non-stick surface. Sprinkle flour over the dough as well so it wont' stick to your rolling pin. Roll out a heaping tablespoon of dough on a nonstick surface into about a 10-inch round. It should not be sticking to the surface. Generously dust the base of the springform pan with flour. 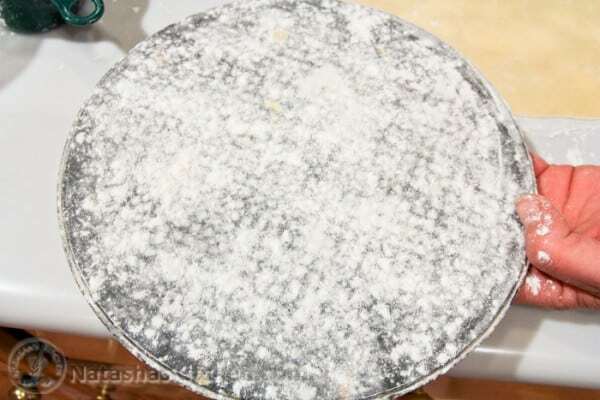 Place the rolled out dough over the base of the springform pan, run a pizza cutter around it. It's ready to bake. 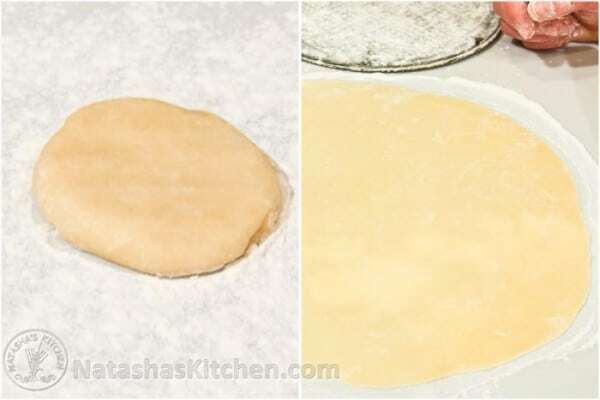 Mix the scraps of dough with some fresh dough and roll it out again. Don't waste those scraps! Bake at 350°F. until it turns golden (4-5 minutes). Remove cake layers from the baking pan righta way but Don't touch the top of the cake layer while its still hot, or you will indent it. Notes: do not try to trim your cake layers after they are baked; they will crack. 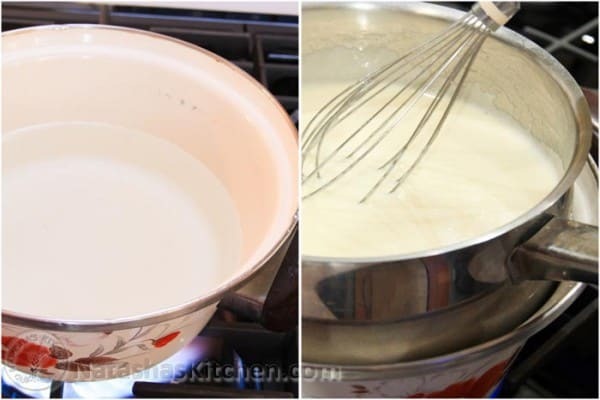 Using whisk attachment, beat together 2 packages butter and 1 can sweetened condensed milk on medium speed for 7 minutes, scraping down the bowl as necessary. On low speed, mix in the cool whip (or whipped cream) until well blended. Set one cake layer aside for crumbs (or use graham crackers) - or you can mix like we did. 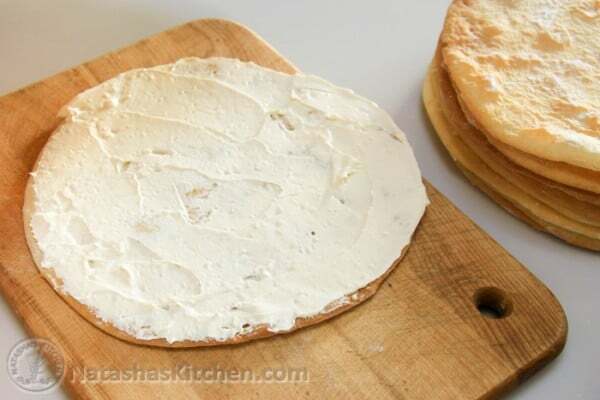 Spread a thin layer of frosting over the first layer (enough to cover the surface) and go all the way to the edges. Place the next layer on top. Frost and repeat this until you finish all the layers. Frost the sides and even out the frosting everywhere. Push down the layers in between so you don't have gaps of air between your layers. Crush the cake layer you set aside as well as the optional graham cracker. Generously sprinkle over the top than cup handfuls of crumbs and pat them onto the sides of the cake. 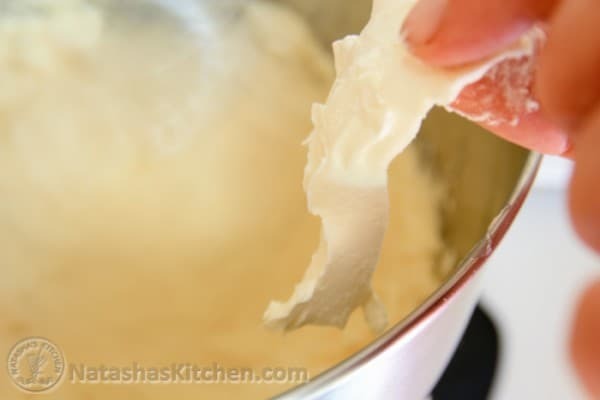 Transfer to a serving dish and refrigerate overnight (it should sit at least 10 hours for the layers to soften). Thanks for all the replies. When I come to serve it, should I let the cake come to room temp or does it eat fine cold? This is my most favourite cake ever! 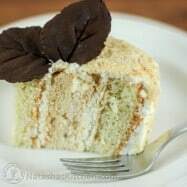 The cream is so light and fluffy and with the combination of the cake layers which become so moist simply takes the taste buds to cake heaven. Last night we had some neighbors over for tea and at the first bite the lady froze up and all she could say was “wow!” for like 5 minutes. Thank you so much, dear Natasha! Thank you wonderful Mom, too! I just made this cake and it came out as usually perfect! I already did your Chocolate Spartak and decided to use this recipe as needed to start baking a few days in advance. Some of our guests asked me for recipe and I gave them a link. made it ! took me 3 hours , but I am new to baking.. I am sure next time It going to be less time 🙂 it was good cake ! as I said before my teenager kid who doesn’t like home made food or “Russian cakes ” ate it and ask to make it for the next birthday party for everybody ..yes !!! have a question, so if i’m making the double cake recipe would i have to double all the ingredients for the cream as well? I served this at a small dinner party today for my American neighbors, they loved it! It was delicious, hubby and 2 little ones also loved it. Lol my 4 yr old had two slices! And he usually does not eat cakes or much sweets at all. 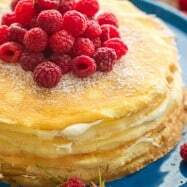 For me, I thought it a tad too sweet for my taste, I think I will omit the powdered sugar next time and maybe cut down on the condensed milk and add more cream cheese maybe? Baked double portion, got nice 10 layers, one of them made with your frosting, the other one used 16 oz Tillamook sour cream, 6 oz white sugar, vanilla, 1 tub (8 oz) frozen cool whip – I whisked everything in kitchen aid mixer for 10 mins on high and turned out nice and thick texture frosting. I will see which one my family prefers. Thanks for the recipe! I make it all the time with my mom. 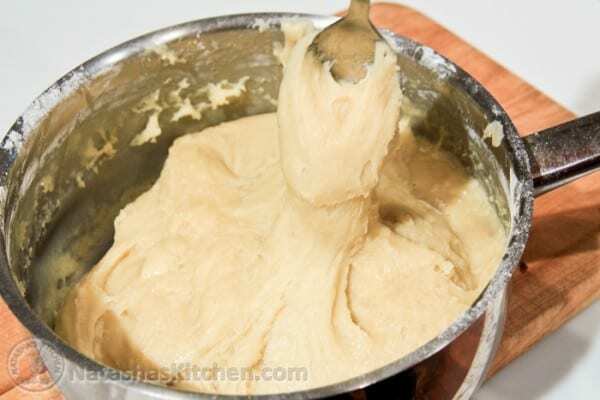 Tip: the extra dough can be very dry, if you lay it aside for too long. Just warm up the extra dough for 10-15 sec. in the microwave, then roll out. Is heavy whipping cream okay to whip up for the frosting? Where did your mom get the base of the springform? My mom has one from Russia that looks just like your moms and I was wondering if they sell them here? 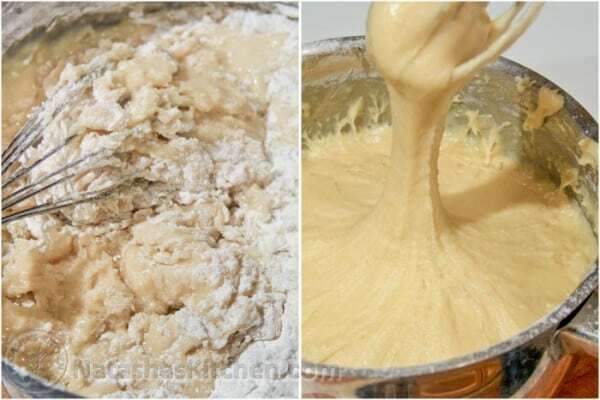 Do you need to make holes with a fork in the dough before baking it so it would not have bubbles? Thank you so much for this recipe! 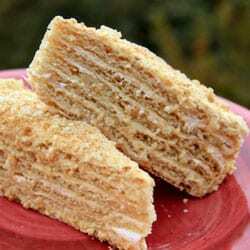 I was looking for a new cake to make for my Daddy’s birthday and I found you by Google(ing) for Russian/Ukrainian cakes. I made this cake yesterday and it was a huge hit with the family. My husband, who has been doing the low/healthier carb diet, couldn’t resist and had three slices too 🙂 and that meant a lot to me. I love your blog, everything tastes awesome, 1 question in Spartak cake, should condensed milk be cooked or just straight out of the can? Thank you for this wonderful receipe!! What a great cake! I made it for Sunday lunch at my in-laws and it was gone by the end of the evening! The kids and everyone else loved it! I enjoy your receipes and have tried many of them! Yum!! 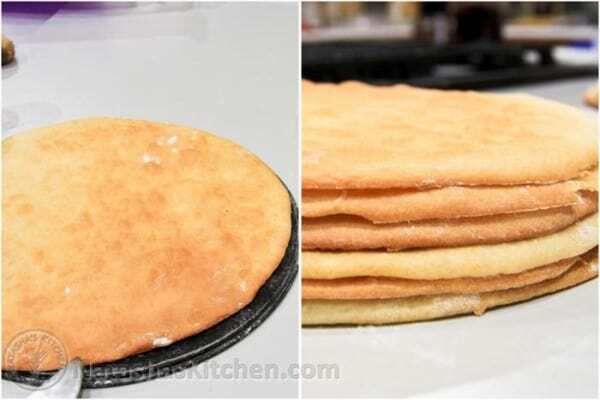 By the way, I tried a similar cake in the past and found an easier way to roll out the dough thin without it breaking. I cut out the shape of the cake with parchment paper. Then I sprinkle flour on the paper as well as on the dough. Its easier to roll it out without it breaking and no need to transport it after. I bake it with the parchment and the dough comes off perfect after its baked. Thanks again! Hi Natasha, cake looks amazing. Love it. I make it witch chocolate layers, white cream and hazelnuts. I appreciate for the time and effort that you put in posting these really good recipes. Thanks so much for this spartak recipe. I made it for New Years and was not disappointed! This cake is AMAZING!!!! it is my favourite cake of all times. 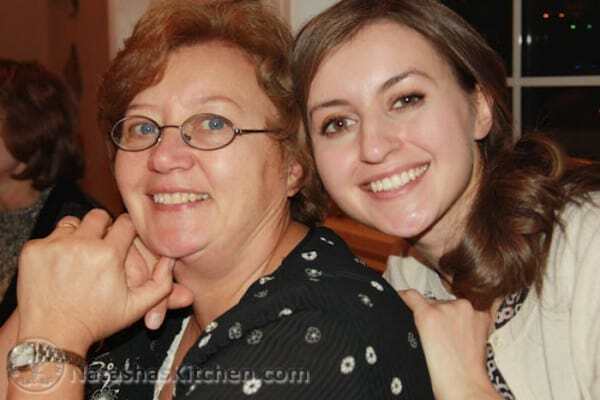 My Mom’s friend use to make it all the time but would not give her recipe to nobody and now she has passed away. Thank you so much for the detailed photo’s and recipe. Here where I live they call this cake “Napoleon”……I usually have to go to a Ukie store to buy it, but it doesn’t taste as good as home made. Thanks again……I’m going to make this for “Yкраїнського Різдва” on Jan. 7th. 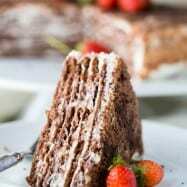 We make this cake too but I also put cocoa powder in the layers to make them chocolate. 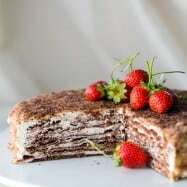 So its chocolate layers and white cream. I also put a little bit of sour cream into the cream. We also try to make the layers paper thin, as thin as possible. I was wondering when you roll out your layers of dough do they rip?